As Apple prepares to relaunch a revamped version of its free-to-stream iTunes Radio service, the company is looking to bring on musicians Drake, Pharrell Williams and David Guetta as guest DJs, a report said Sunday. Music industry sources told The New York Post that Apple is negotiating a $19 million deal to have Drake serve as a guest DJ for iTunes Radio. The rapper may also assume other roles as part of the agreement, but it was not immediately clear what those extra duties would entail. Along with Drake, Apple is reportedly in similar discussions with Pharrell and Guetta, though financial estimates of their arrangements were not provided. Perhaps unrelated to the iTunes Radio proposition, Drake and Pharrell were among the first celebrities to don pre-release Apple Watch Editions in April. 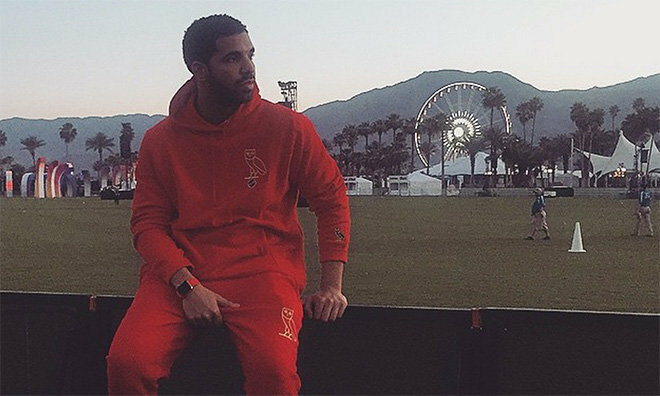 Drake was seen wearing a yellow gold version at Coachella just days after Pharrell showed up on his TV show "The Voice" sporting an identical model with Sport Band. As for Apple's broader streaming strategy, the report said the company wants to offer a free three-month trial period for a separate subscription product widely thought to be based on Beats Music. Apple doesn't want to foot the bill for licensing rights, however, and is thus requesting labels waive fees for customer trials. The company is also asking for free lyrics, the report said. Rumors of an iTunes Radio revamp came earlier this year alongside word of that Apple was working on a branded subscription service. It was later learned that Apple poached Grammy-nominated DJ Zane Lowe from the BBC to spearhead work on the renewed iTunes Radio effort. Most recently, reports in April said a handful of top producers from Radio 1, some of whom worked with Lowe, were also hired away. Apple is expected to introduce iTunes Radio and its new subscription platform at the Worldwide Developers Conference in June.